The grandMA3 Light features multi-touch screen surface area; All dedicated encoder and playback information is accessed directly on the letterbox screens allowing the larger screens to be fully-configured to suit user needs. 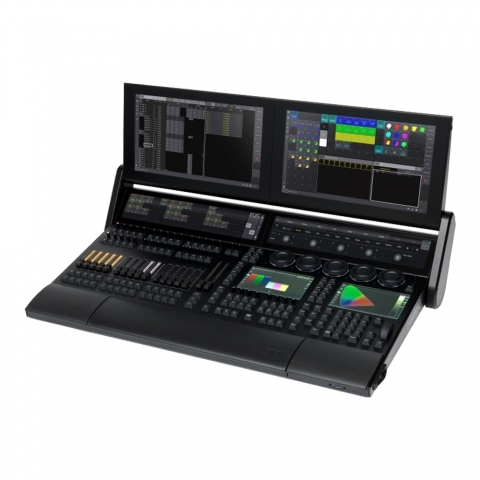 In addition to the lighting control capabilities, the grandMA3 software features an integrated 3D visualizer for pre-programming, and the ability to manipulate and playback basic media content directly from within the console. The grandMA3 control consoles are compatible with shows created on grandMA2 consoles. Where features allow, existing shows can be exported from grandMA2 software 3.4 for use in all grandMA3 console models. Currently only located at 4Wall New York and 4Wall PA.